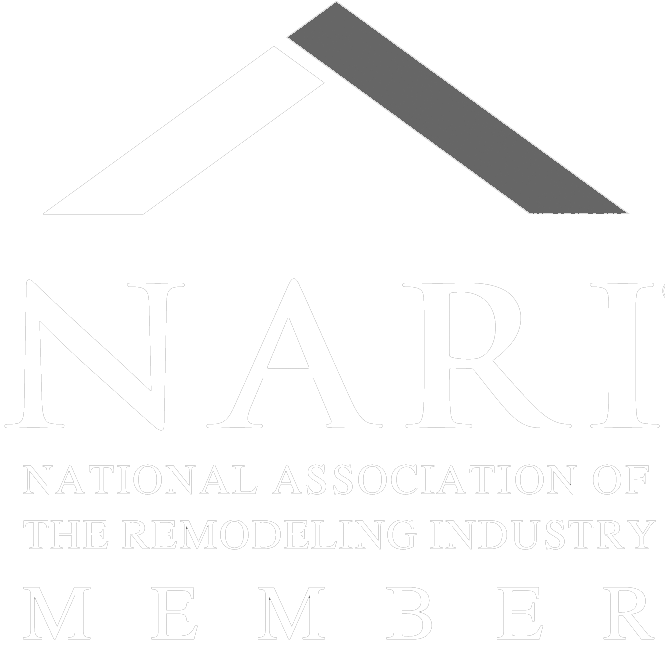 A walk-in shower is one of the most popular trends for bathroom remodels. 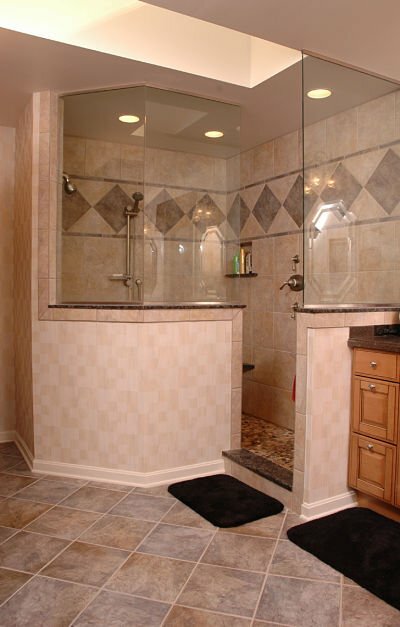 Walk-in showers are attractive, easy to clean and can be customized for safety, comfort and use. They can be designed to fit almost any bathroom space and can be integrated with a soaking tub. If you are considering a walk-in shower for your home, a custom-built shower can optimize your bathroom space and be designed to include the accessories you want or need. 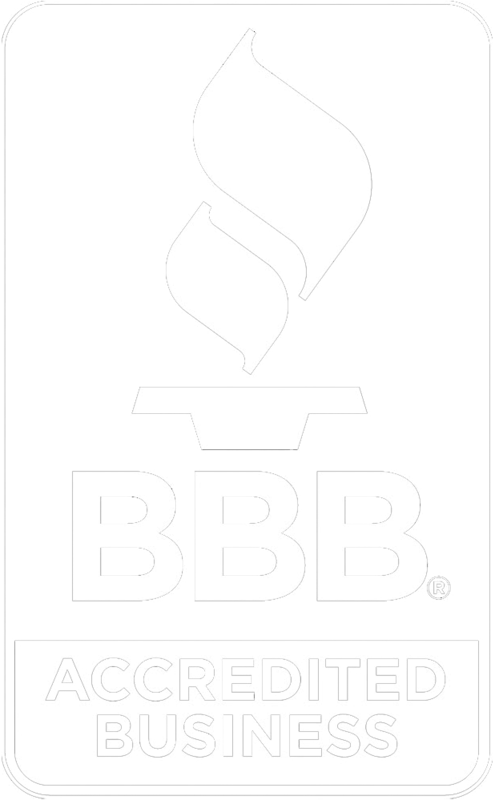 We recommend working with a bathroom design professional to properly size the shower for the room, create a functional aesthetic plan and to show you the many new products available for your project. Glass shower doors and enclosures can create an illusion of depth and height in a bathroom, especially if the room is small. They can be clear smooth surfaces or textured glass to provide privacy. 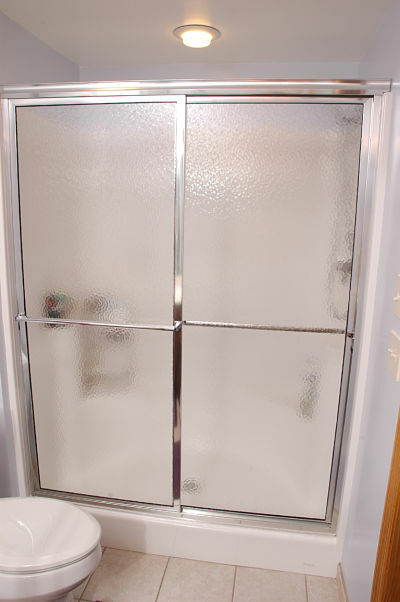 Glass doors for walk-in showers are either hinged doors or sliding doors on a track. 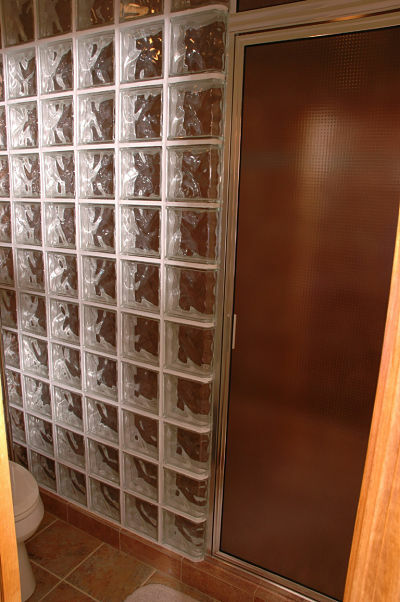 Hinged doors can be installed with a glass or tile surround. The advantage of a hinged door is that it is easier to clean. However, there is a door swing to account for in the room which can present a problem in a small, tight space. Sliding doors eliminate the door swing and may be the best option for a small narrow bathroom but may require more width in the room to install. Sliding doors tend to be more difficult to clean than hinged doors because they overlap and have a narrow track where debris can build up. 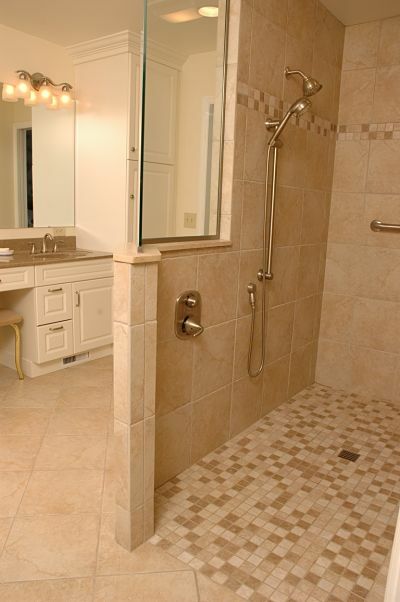 More homeowners are opting for a walk-in shower without doors because of the ease of maintenance and access. 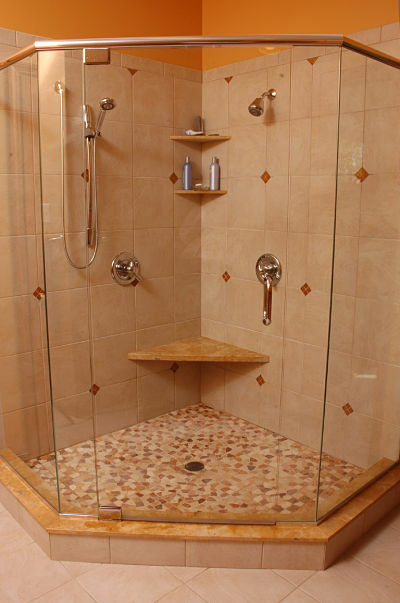 The design of a walk-in shower without doors should consider containment of water, drainage, the placement of showerheads and handheld showers, lighting and ventilation. 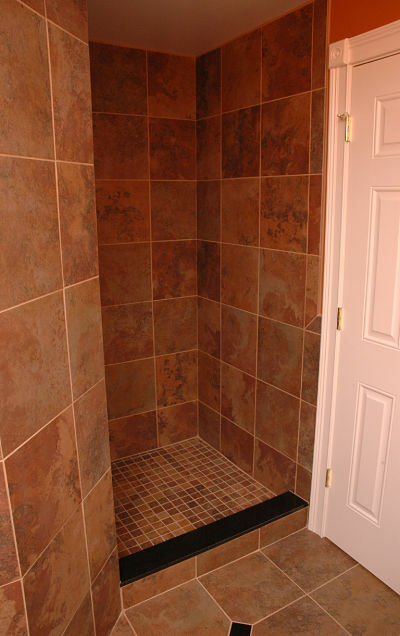 A walk-in shower without doors can be designed with a level threshold by sloping the floor towards the drain. 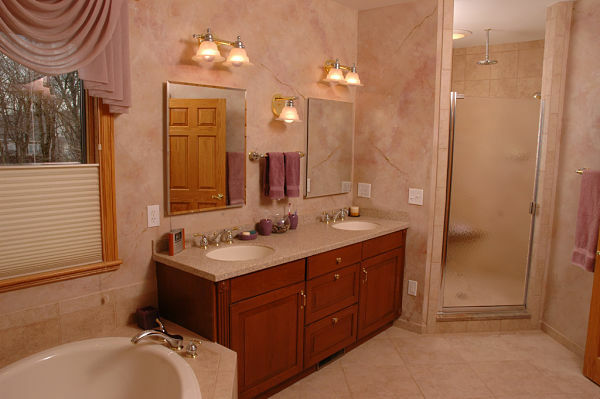 Privacy is always an important consideration in bath design, especially if two people are sharing a bathroom. Privacy walls can be built for both walk-in showers with and without doors and can add an aesthetic architectural element to a bathroom. 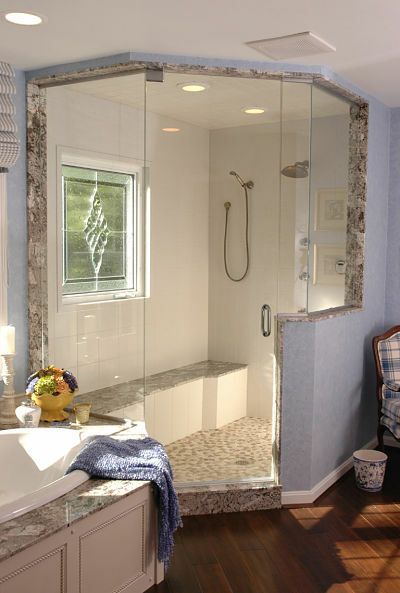 Another way to provide privacy in a walk-in shower is to add a knee wall to create a screen like in the photo below. 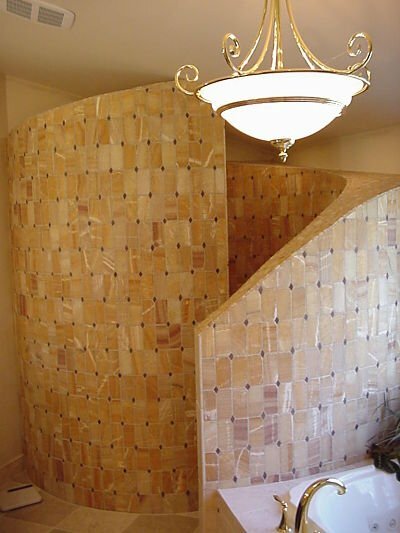 Privacy can also be attained by a well-designed wall, that helps to contain water in a walk-in shower. 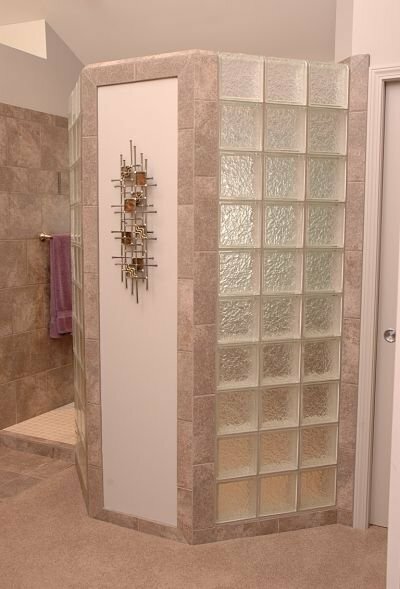 A decorative glass and tile wall provides both privacy and contains the spray of water in this doorless walk-in shower. 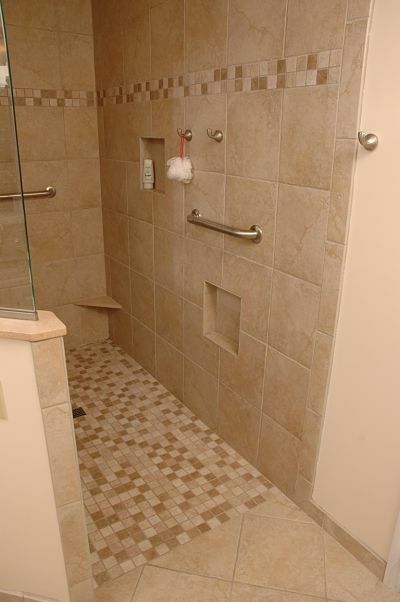 Universal design elements can be used in walk-in showers for safety and accessibility. These include a wide entryway with a level threshold, slip-resistant flooring, grab bars, a shower bench, a handheld showerhead, lower shelves, accessible controls and good lighting. Universal design features are attractive and accommodating to all users at any age.